C program to delete all duplicate elements from an array – In this article, we will specify the numerous ways to delete all duplicate elements from an array in C programming. Arrays are nothing but a collection of elements present in a sequential order horizontally. 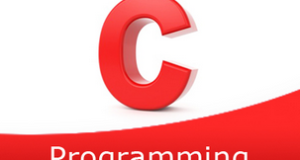 The arrays are a very significant part of C programming. The position of elements in an array is denoted with the help of pointers. As given in the image above, firstly, you need to enter the size of the given array. The size of this particular array is 10. Then, you need to enter the elements of that array. 2) Scanf reads the entered elements and stores the elements in the array using for loop for(i=0;i<n;i++). compare each element of the string with a[i] using for loop for(j=i+1;j<n;j++).if any element is equal to a[i] then increase the c value by 1 and put -1 in place of duplicate value i.e a[j]. Repeat until j<n. b) If a[i]!=-1 place the a[i] into the array a[k++].Here we initializing the non-duplicate elements into the string a[k]. Repeat a,b steps until i<n. The main() function calls the count() function by passing array a, size of the array as arguments. compare each element with a[i] using for loop for(j=i+1;j<n;j++).If any element match with a[i] then increase the count value by 1 and place -1 at a[j] which is duplicate element.Repeat until j<n. b) If a[i]!=-1 store the a[i] into a[k++] for each iteration of i.
c) The count() function returns the n-c to the main() funtion and n-c initialized to n.
3) The main() function calls the print() function passing array,n as arguments.Then print() prints the elements after deleting duplicates in the array as printf(“%d”,a[i]) using for loop for(i=0;i<n;i++).